Millie Jackson has never had the full recognition she deserves as one of the great soul voices of the 70s as her theatrical 'rap' material became her signature sound. 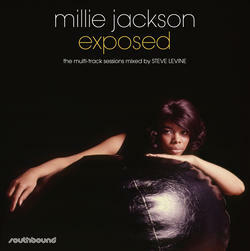 With "Exposed" we go a long way to rectifying that with a dozen remixes by producer/engineer Steve Levine. Steve has piloted hits for a very wide range of artists from Culture Club's huge chart successes to the Beach Boys and Motörhead, having collected a Grammy along the way for his work with Deniece Williams.